I see you've got Blue Mystic, I wanted to tell you about my smells. <- Isn't that a great conversation starter? 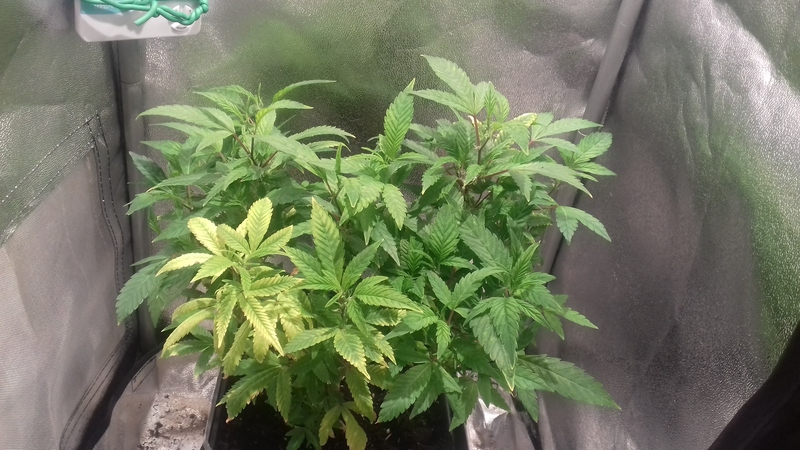 When I first planted it, and it was a seedling of course it didn't smell. 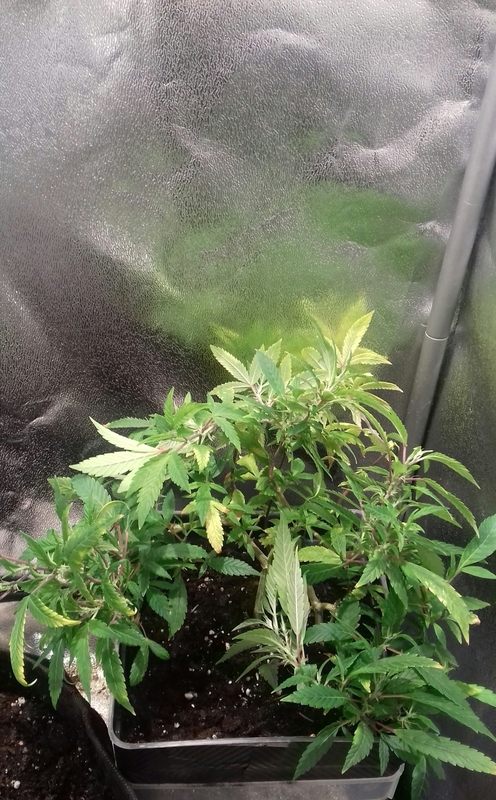 When it got into about two weeks of veg it started smelling like a typically skunky plant. At the time I didn't have any active charcoal. I was kinda surprised since they say about this variety it's low odor. These first skunky smells were quickly removed with just a tiny bit of active carbon. 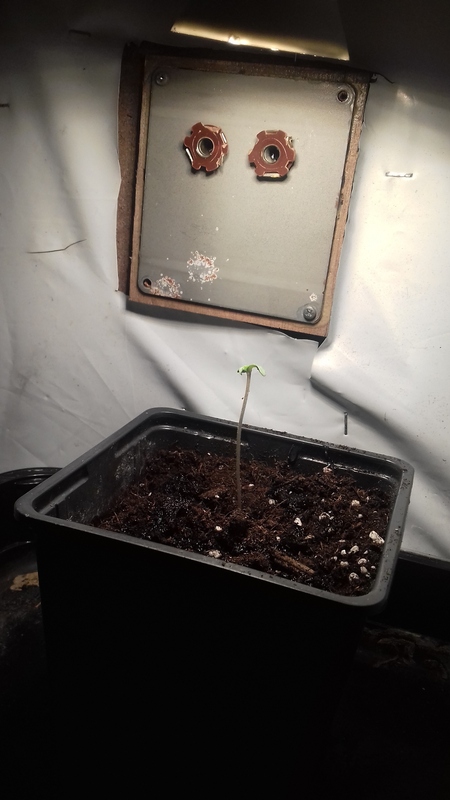 Fast forward to two weeks into flower and a full load of carbon, certain times during the plants day and night cycle is when it smells the most. The carbon filter is doing an OK job, but the room smells pungent a tad. Not your traditional skunk smell. When you handle the flowering plant it really isn't that smelly. It does smell but I have a hard time describing it, the smell is nothing like I've smelled before. The best way I can describe it is a bit of piny citrus, combined with some bug spray, with a tiny hint of fusle oil smell. It definitely doesn't smell like blueberries lol. I haven't grown anything else, but I do believe the claims since it does seem to be a low odor plant. I'm guessing that blueberry smell comes after the flower has had a time to cure for a while. Other than that the plant is a super easy plant to grow, despite my best efforts to hinder it, it's done amazingly well! Blue Mystic is the small space, no fuss, low odor strain for sure! I chopped her in the middle of 12 weeks. This recommended time you preach about is when the plant is grown in optimal conditions. That's why I bought the seed. Mine absolutely hums of Blueberry but it also smells the same as the description you gave. The smell comes back even more after 2 weeks in the jars. The keif smells like it will make some top class hash too. It's not really an all day smoke for me as everytime I smoke it I end up like droopy dog it's very relaxing. I didn't like it at first as it was very racy. Gives me a good dose of the munchies too. I flopped the tops down on her. 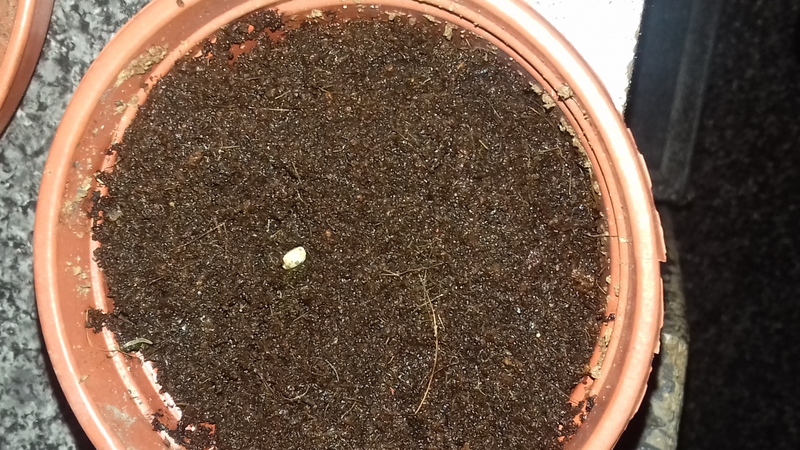 I also planted another seed. She/him is now in my veg box. The top 2 pictures that plant is hungry mate. She's eating herself. Up the nutrients. 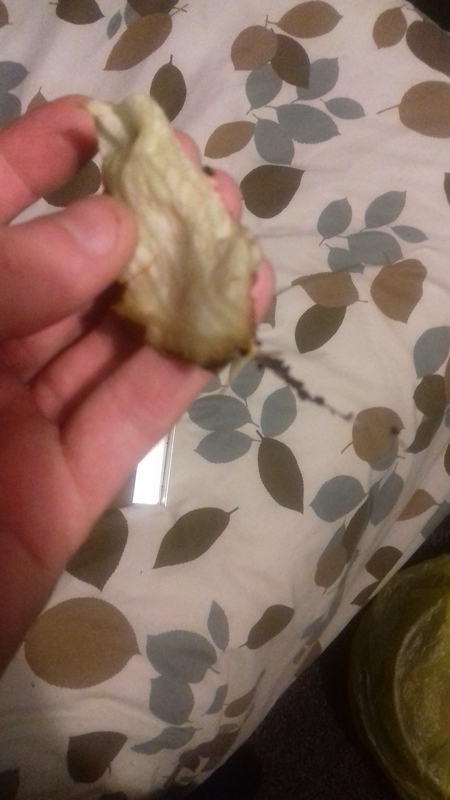 Thats her eating her nutrients mate, if you look at the earlier pics you can see. She had never been fed. 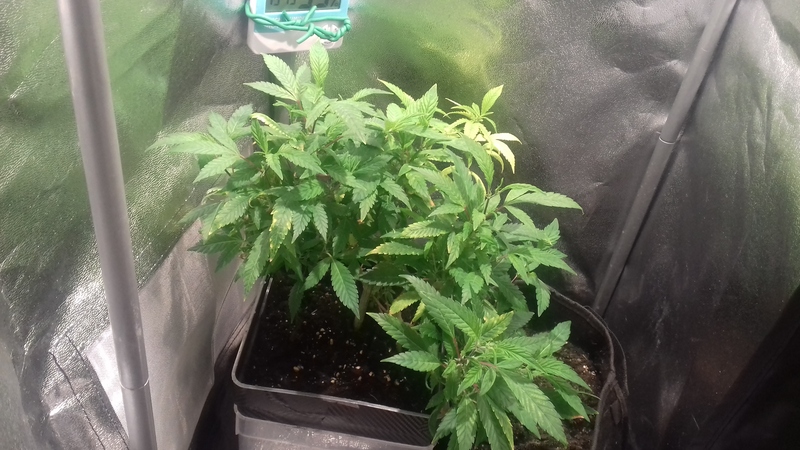 Few days she will be cush. I've found that instead of forcing food into them I can get the ppm up to 800 and just keep it there till the end of the grow and plants look healthier the plan is from now on to not push them too hard. It's batmix in there mate same as last time. I gave it some mega crop when I flopped the tops. I just used the calculator on the greenleaf site. You should see the node spacing on the branches by they way I curled them back onto themselves it's mad. I don't think it is......but it might cos our weather is freaky asf. Aye a kna, I hope it stays warm. I quite enjoyed digging the plot yesterday gonna finish it off tomoz. I hope it's like today as it was proper lush. The root is covered in soil dickwad. When you look for roots people usually look for white as that's what stands out. It's cush a was gonna say it didn't matter as to much of a fk on but I forgot all about it.